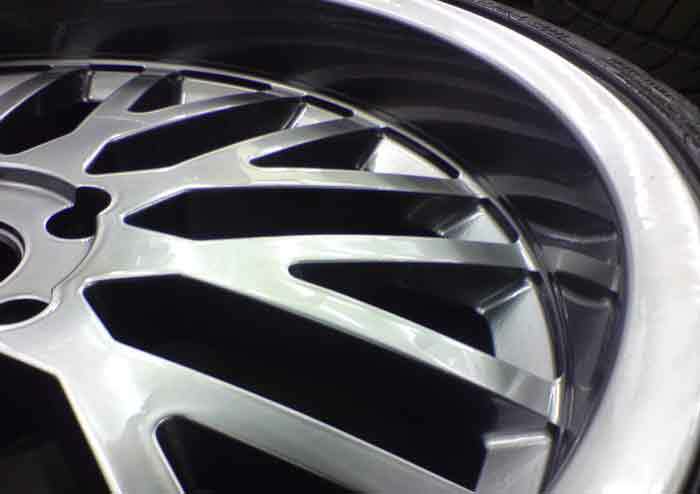 Our bodyshop works to the highest standard and will treat every vehicle with the same respect and care as we do our own. 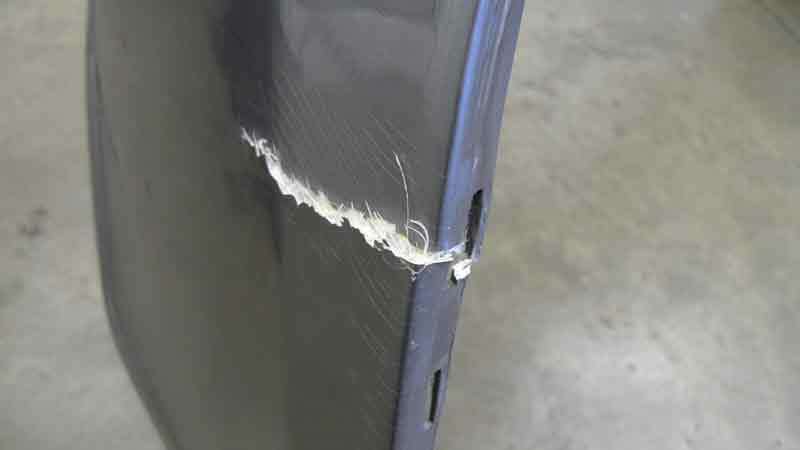 We are able to offer repairs of any nature including insurance work. We also specialise in non fault accident claims and can assist you every step of the way to get your vehicle back on the road. 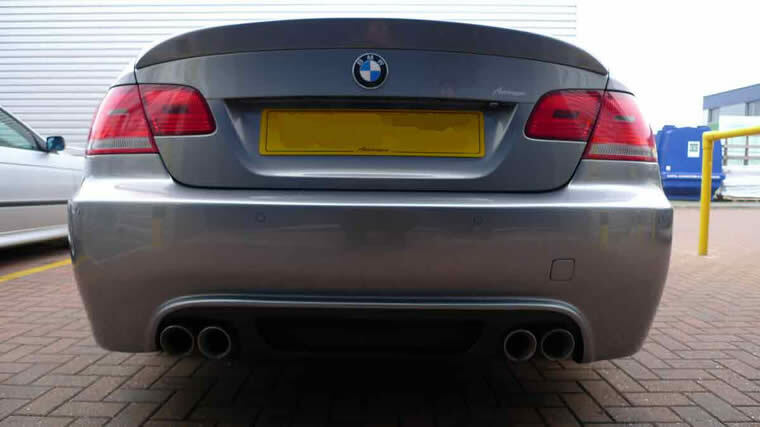 Below is a short story showing how we repaired one owners beloved BMW to a condition better than new! 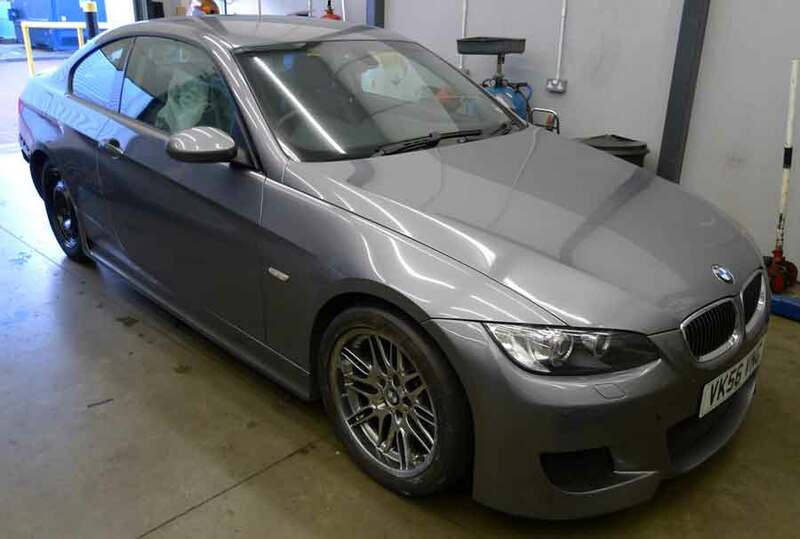 This BMW 335d came to us in early 2010 with body damage after the terrible ice and snow conditions had caused him to lose control and damage the car. This particular car is fitted with a rather expensive Autovogue Vision fibreglass body kit and replacing it was really not an option! 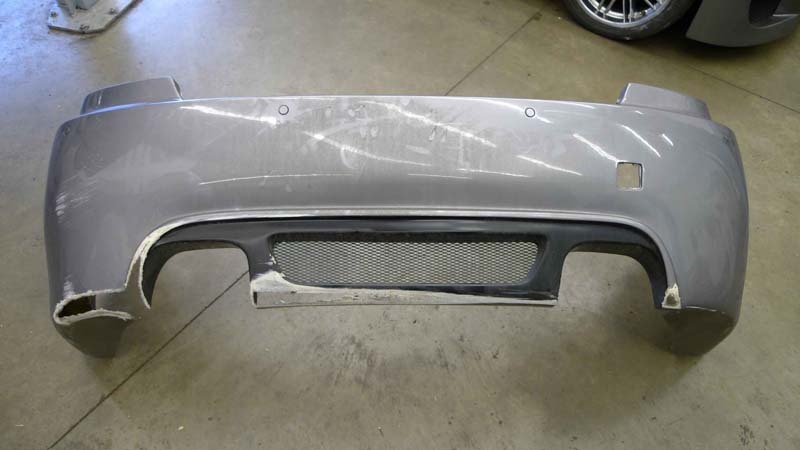 As you can see the car was truly in a sorry state, the bumper had to be brought to us separately as it had come completely off the car. 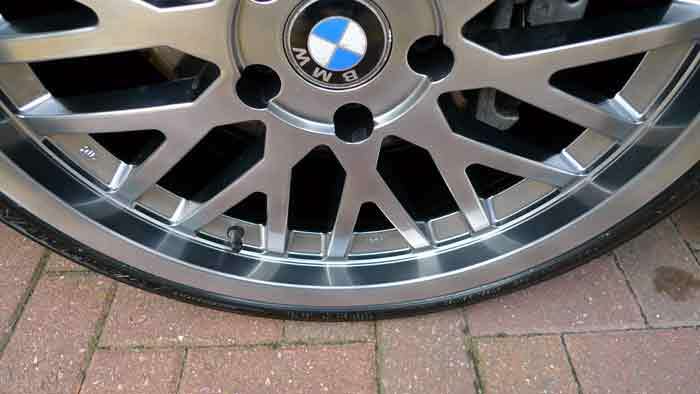 The wheels had also been subjected to corrosion over the winter months so these were also treated to some of our craftsmanship. As you can see both front and rear had sustained damage and some stress marks along the sideskirt had begun to show. To reconstruct the bumper we used fibre-glassing techniques to re-blend the bumper from old to new. 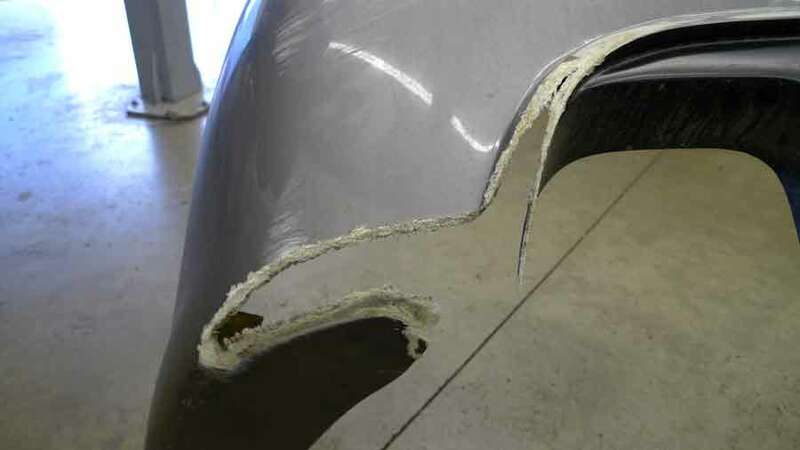 In the process the fibreglass is strengthened and rebuilt up with additional layers actually making the bumper stronger than before. Due to the poor design of the bumper the mounting points had broken and new ones needed to be created. 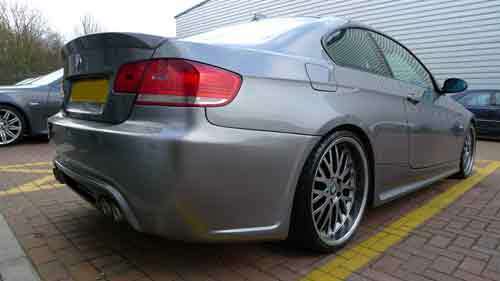 We then fitted the bumper to the car and aligned it all up perfectly. As you can see the colour match is absolutely perfect making the car look stunning once again. 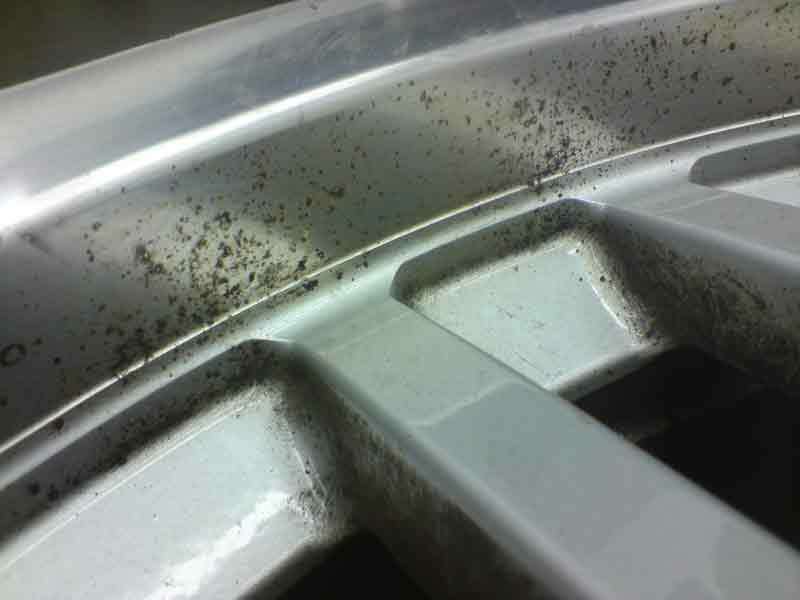 The wheels also had a tough time during the winter months and the polished chrome edge had suffered bad pitting and corrosion. 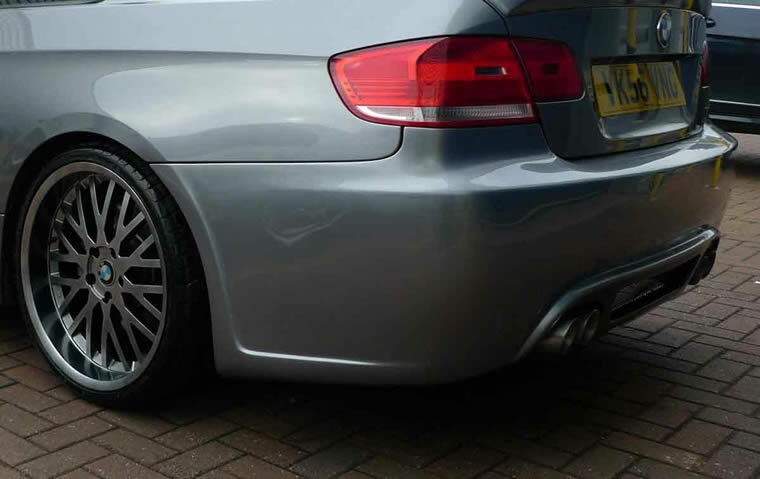 We treated the wheels to a full powder coating process in a black chrome finish which completely sets the car off ! I'm sure you will agree the pictures speak for themselves. If you have a vehicle in need of repair whether it be standard or modified we can take care of the work for you and return your vehicle to it's original conditionn. As you can see from this small sample of our work we are able to work with any situation so if you have a project in mind we are also here to help. 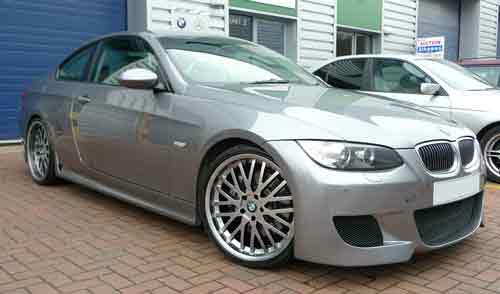 Bespoke bodykits and Conversions are all welcome.